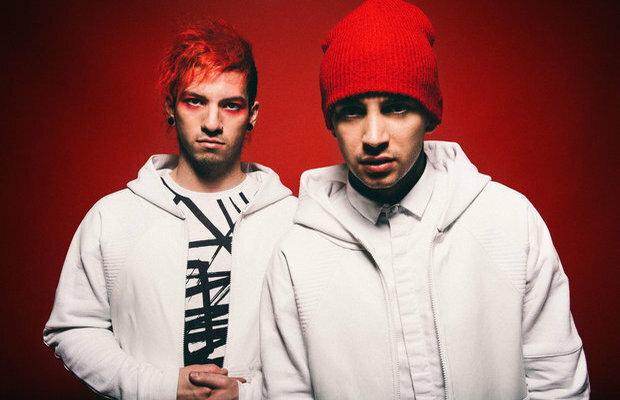 The Clique have been anxiously awaiting the return of Twenty One Pilots after they announced their hiatus last July by posting assorted lyrics and a photo of a closing eye. With no signs of the band’s hiatus being over quite yet, that hasn’t stopped them from dropping hints on their social media accounts and webpage. “To refer to Dema as my home has never felt accurate. Dema, to me, has simply been the place that I’ve existed, or, the ‘slot’ they’ve put me in. I’ve heard stories about the idea of ‘home,’ and its depiction has always seemed warm from the storyteller’s description. There was a realistic ownership of the place they inhabited that I admired, but could never relate to. This place, my place, however, seems devoid of the romance and wonder that the old stories tell. But, somewhere between the iron order and infallible precision of Dema, a hum of wonder exists, It’s the quiet wonder that my mind tends to gets lost in. This hope of discovery alone has birthed a new version of myself; a better version, I hope, that will find a way to experience what’s beyond these colossal walls. What could this message mean?! The text didn’t just end with a picture; it was also dated 17 06MOON 07. If you rearrange the numbers, it appears to be 06/07/17, which, as we know, was the date that the band originally announced their hiatus. Of course, the dated letter could mean anything. It may simply be the band’s way of marking the start of the hiatus with a further backstory of Dema, or it could have been their way of hinting that they began working on new material. Of course, when Dun shared that tidbit of Joseph's whereabouts, fans immediately took the internet to investigate what the word “Dema” meant. We now know that they are referring to a place, rather than a saying, but that doesn’t mean that the original meaning of the word that we found was all for nothing. As previously reported, if you do a quick search of Tower of Silence, you'll find that it is a circular, raised structure where dead bodies were left to be exposed to vultures. And what did fans find in the middle of these graves? An image of nine circles that look exactly like Blurryface with the words correlating to the album's tracks. As we all know, Joseph doesn't talk about music until it's completely finished, so this comment could have hinted that the singer either had plans of making the new record, or he already completed it. Either way, knowing that the forthcoming third record is set to be about “a place,” and knowing that Dema is a place where “Clancy” existed, it brings us to the conclusion that the band are hinting to more details about the upcoming record. What do you think is going on with TOP? Let us hear those theories in the comments below!